Java is also widely used in Android App Development. Almost any business today needs an Android Application owing to the fact that there are billions of Android users today. This opens up a huge opportunity for Java developers given the fact that Google has created an excellent Java-based Android development framework – Android Studio. C++ is also widely used by competitive programmers owing to the fact that it is extremely fast and stable. C++ also provides something called as STL – Standard Template Library. STL is a pool of ready-to-use libraries for various data structures, arithmetic operations, and algorithms. The library support and speed of the language make it a popular choice in the High-frequency tradingcommunity as well. 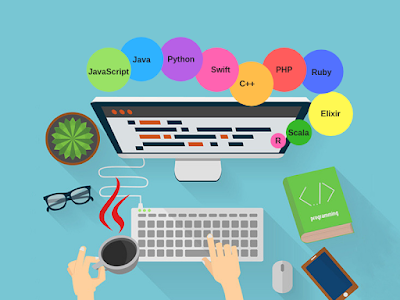 R programming language is one of the most commonly used programming languages for Data Analysis and Machine Learning. R provides an excellent framework and built-in libraries to develop powerful Machine Learning algorithms. R is also used for general statistical computing as well as graphics. R has been well adopted by enterprises. Those who wish to join “Analytics” team of a large organization should definitely learn R.